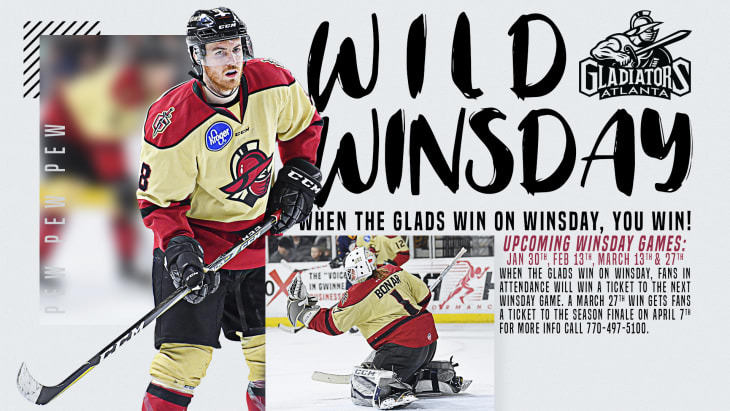 Wild Winsday means that if the Glads win, you win a free ticket to the next Wednesday night home game. If the Gladiators win on February 13th, then fans will receive a ticket to the game on March 13th. It is also the day before Valentine’s Day, so bring your date out to the game to enjoy the fun of an Atlanta Gladiators hockey game. Doors open one hour prior to the game.